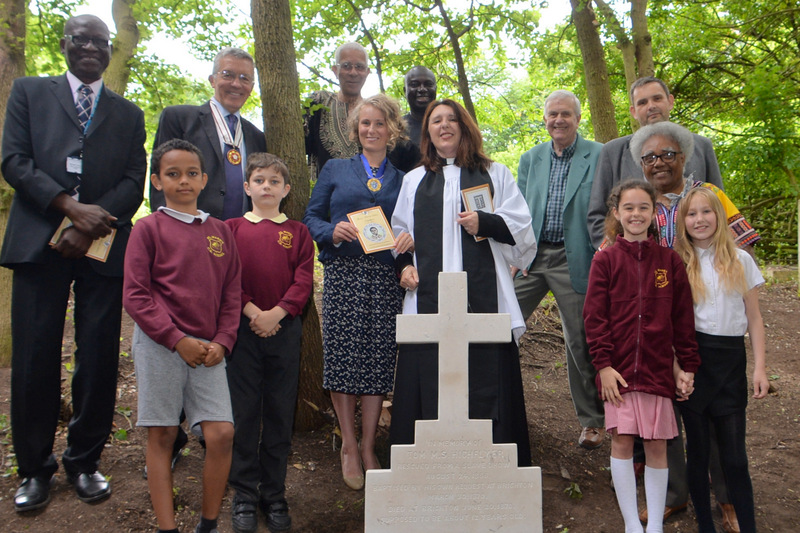 Last year Bert Williams (one of the co-founding members of Brighton & Hove Black History group) received a tweet from a colleague, about the surprisingly well-preserved grave of a young African boy, hidden away in Woodvale Cemetery. When the grave was located and cleared, a fascinating piece of Brighton’s black history was uncovered. Research showed that, at the tender age of eight, Tom M.S. Highflyer was rescued from a life of unimaginable hardship on a slave dhow. He was named after his rescuer, Captain Thomas Malcolm Sabine Pasley, of the Royal Navy’s East African Anti-Slave Trade Squadron. He subsequently came to Brighton to be educated and attended St Mark’s School, where he was a well behaved and popular pupil. Brighton was seen as a healthy place to live but unfortunately, Tom’s time here was shortlived. He fell ill, possibly as a result of his hard years at sea, dying in 1870 at the tender age of 12. But thanks to the efforts of the Black History Group and others, his story has at last been told. His unkempt grave has been refurbished and was dedicated at a special ceremony held in Woodvale Cemetery today. You can find out more on the story of the life of Tom Highflyer on Brighton & Hove Black History. I am so happy and grateful that the past is being so graciously cared for. Thanks to all involved in this project and the research to build the story. A very moving and most interesting story. What a commendable thing to do. Such a sad story. But, as the linked article points out, someone must have loved the young boy to provide him with such an expensive headstone.